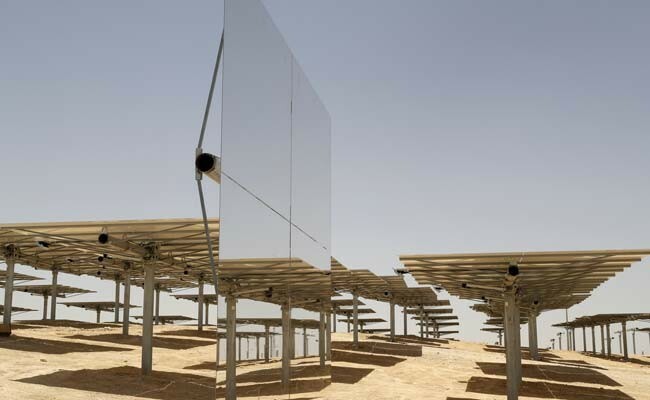 Israeli engineers are working on the world’s tallest solar tower in the middle of southern Israel’s desert, reflecting the country’s efforts to decisively shift towards renewable energy. The Ashalim Tower is to be completed in late 2017 and with its 240-meters (787 feet) it will be taller than London’s Gherkin and Paris’s Montparnasse. The square tower located in the Negev desert will be covered in stainless steel and it will have a peak resembling a big light bulb visible from kilometers away. The construction of the tower is estimated to cost 500 million euros and it is financed by the US company General Electric, France’s Alstom and Israeli private investment fund Noy. Israel’s government announced a tender for the project in 2013, committing to buy electricity from it over 25 years as part of a shift towards renewable energy and energy independence. The country currently generates most of its electricity using coal, natural gas and fuel oil as its domestic supply of natural gas has risen thanks to the discovery of new fields in the Mediterranean. Solar power is considered one of the cleanest alternatives to fuel and carbon-fired plants, which are major pollutants and contributors to global warming. Eitan Parnass, head of the Green Energy Association of Israel, said that the country could meet all its electricity needs using solar power from only 4 percent of the Negev desert. The Ashalim Tower is set to provide 121 megawatts of energy, which is about 2 percent of the country’s needs – enough for 110,000 households.